Extra-long, voluminous, and full with the perfect curl—what's not to love about eyelash extensions? There's something so incredibly alluring about not having to touch my lash for weeks on end, especially considering I like 'em thickly coated, so it takes multiple swipes of my mascara from the root to the tip for the desired effect. Having falsies already on saves roughly three to four minutes in my getting-ready routine. I've also felt more compelled to leave my apartment with no makeup on. I've gone full weeks at work with not a stitch of makeup on my face, which is a very new thing for me. It could be because I finally stumbled upon the right skincare routine, but I think waking up with automatically dressed-up lashes plays a big part in that. If you can't already tell, I'm head-over-heels in love with my eyelash extensions—like, smack-dab in the honeymoon phase. I get compliments on them all the time, and they literally take my makeup to the next level when I do decide to go all out. But for as many times as I've been complimented, I've also been told to be wary of them because there's a chance they could harm my natural lashes. I've had them on for about four weeks straight, and I've been too in love to think about the effect they could be having on my natural lashes. The horror stories I've heard have legit thrown a wrench in my heart. Do eyelash extensions damage your eyelashes? I consulted a group of women I knew would give it to me straight: none other than Team Byrdie. You can always rely on real women who also happen to be beauty gurus for advice. It's lash-extension story time. "I had lash extensions for a year and was promised that they wouldn't damage my natural lashes. However, when I finally decided to give my lashes a 'break' and get them off, my natural lashes were the shortest, stubbiest things I'd ever seen. It was horrifying. They were so short I could barely curl them with a lash curler. I was so horrified I immediately told my lash technician I had changed my mind and wanted a full set of extensions again. It was a dark time. Finally, however, I started using a lash-growth serum and seeing some results, and I weaned myself off them. "I tried lash extensions once because I was curious—and because the idea of full, thick, inky-black lashes 24 hours a day is undoubtedly dreamy. The process took an hour and a half (which is normal, I'm told), and I left with a natural-looking set of fluttery lashes. I was in love with them. They looked incredible. Plus, they made my morning routine so much easier (no mascara, no more removing little bits of mascara I'd inevitably smudge elsewhere on my face). However, the bliss lasted for about two weeks. After that, the lashes began to crisscross and look sparse. I'd brush them, keep them dry, and do everything in my power to maintain them. But the fact that I couldn't properly wash my face and slather on eye cream began to weigh on me, and I ended up taking them off not soon after that. Once they were gone, I was relieved, but my eyelashes looked bald. They were definitely shorter and more brittle than before, but I continually conditioned and moisturized them until they were back to normal (it probably took a week or two). "So I'm not really sure why I felt compelled to get lash extensions in the first place, as I naturally have long, dark lashes. That being said, whenever I see someone with extensions, I always instantly admire them and think they look really romantic and feminine. Plus, the idea of never having to apply mascara or curl my natural set was appealing. (Plus, for better or for worse—usually worse—I love to experiment.) Anyway, the first (and only) time I ever got extensions was a few summers ago, and I almost instantly regretted the decision. Not only did my eyes always feel slightly irritated and itchy, but I found myself constantly paranoid that I would get some kind of eye infection or wouldn't be able to keep the follicles of my natural hairs clean. (Thanks to the extensions, I couldn't remove the makeup around my eyes the same way as I was used to.) Therefore I was pretty much paralyzed with a fear that my eyes would get infected, my precious hair follicles would crust over (sorry for the visual), and my eyelashes would all fall out never to come back again. The verdict: Everyone's experience with eyelash extensions is completely different. Whether it's the uncomfortable feeling of wearing them, the lack of upkeep, or the fact that your natural lashes are brittle and shorter after wearing them, many variables come into play. There's no solid or definitive truth that eyelash extensions will in fact damage your natural lashes. However, it's up to you to take every precaution to keep your lashes in tip-top shape when you do have them to avoid any mishaps. We called on celebrity lash expert and founder of Envious Lashes Clementina Richardson, along with lash expert Alexis Weisenburger at Bella Lash, to share all there is to know about falsies. In other words, screenshot the below lash manual if you're thinking of giving these a whirl. 1. "Avoid steam and wetting your lashes for the first 48 hours," recommends Richardson. "You can of course wash your face and take a shower, just make sure that no water touches your lashes." 2. "You need to avoid rubbing your eyes, using oil-based products and heavy creams around eyes, plus avoid playing with, picking, and excessive touching of your lashes," says Richardson. "Lashes do need to be brushed every so often with a spoolie brush, just don't overdo it when you brush." 3. "I also recommend not wearing mascara, as it's hard to remove and will cause the bond to break," says Richardson. "If you need to wear mascara on your lower lashes, avoid waterproof mascaras. Never use a mechanical eyelash curler. If your extensions are starting to fall, use a heated eyelash curler ($30) to gently lift them." 4. "Be sure to go to a certified lash artist who knows how to do lashes correctly," says Weisenburger. "A properly trained and experienced eyelash extension artist will not damage your lashes. You can find a list of certified and fully vetted eyelash extension artists at BellaLash.com." 5. "As with your hair, using a silk pillowcase will do the least damage to your lashes and extensions. Chances are at some point during the night you will end up sleeping on your face. Invest in a silk pillowcase, as this type of material will do the least amount of damage to your eyelashes and extensions." 1. "Extensions should only be attached to the natural lash, not the skin, and be applied one strand at a time." 2. "Applying extensions that are too heavy for the natural lash will result in premature shedding." 3. "Rubbing your eyes will result in immediate breakage. This is actually the worst thing you can do. Try to be as gentle as you can with your eyes." 1. "Don't wash your eyes or shower within 24 hours of application." 2. "Don't remove extensions yourself." 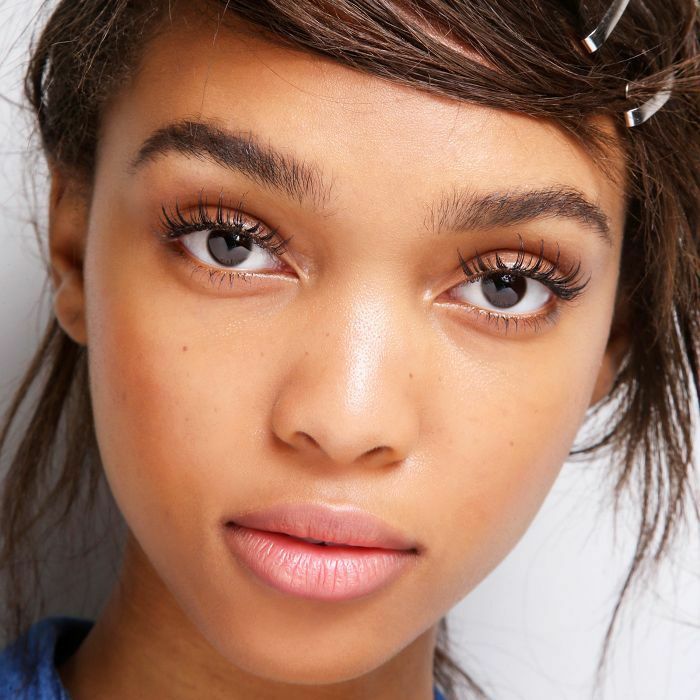 Should You Give Your Natural Lashes a Break Between Extensions? "It's not necessary to give your lashes a break since your natural hair growth cycle occurs every six to eight weeks," says Richardson. "To keep your lashes looking their best, you should get refills every three to four weeks. The stylist should pay close attention to your natural lashes. For instance, if the client's lashes have changed in texture or fullness, steps should be taken to adjust your styling accordingly. Simply changing the type of lash extensions being used can make a big difference. A change to the length or the width of the extensions, such as going with a thinner or shorter extension might be needed during the refill process." Weisenburger is in accord: "There's no need for a break in between eyelash extensions if they're applied correctly," she says. "Your eyelash extensions should not make your natural lashes fall out any faster than they would on their own. Like all hairs on the body, your lashes follow a growth cycle. Most people don't notice their natural lashes shedding, because lashes are so small and fine. With eyelash extensions, it's easier to notice since they're much larger than natural lashes." "Conditioning serums are great to use while wearing lash extensions and also for people who just want to get their natural lashes in better shape," says Richardson. "This conditioner contains a unique blend of natural and botanical ingredients to help your lashes reach their full potential, creating both density and length." "Aftercare is the best way to maintain your lashes and keep them healthy," Weisenburger echoes. "Make sure your aftercare products are oil-free and contain safe ingredients. One of the most effective types of aftercare is cleansing your eyelashes with a product created specifically for eyelash extensions. There are also different types of eyelash extension cleansers." Bella Lash offers several options.